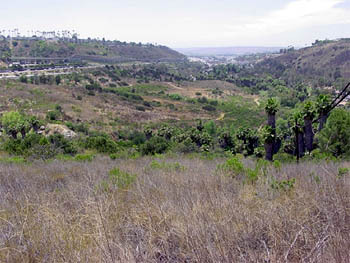 Adobe Falls is a parcel of undeveloped land and open space adjacent to Alvarado Creek across the I-8 freeway from San Diego State University just west of College Avenue. Since before 2005, SDSU has been pressing to implement its Master Plan project to use that land for up to 348 residential housing units for faculty and staff. 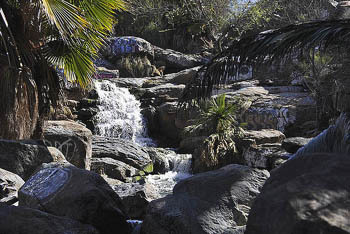 Numerous lawsuits by the City of San Diego, Del Cerro Action Council, and other entities challenged the California State University’s (CSU trustees) certification of the Environmental Impact Report (EIR). The cases were eventually consolidated into one and last February the court entered a judgment in favor of SDSU (for details about the project and those legal actions click here). On May 25, 2010 the City submitted notice of intent to file an appeal (Del Cerro Action Council had earlier filed an objection to the proposed statement of decision, but lack of financial resources prevented it from filing an appeal). Just a few days ago, on Nov. 24, 2010 an appellant’s opening brief was filed by the City of San Diego and the Redevelopment Agency. On Dec. 1, 2010 the San Diego Association of Governments (SANDAG) and the San Diego Metropolitan Transit System (MTS) filed their opening brief. The City of San Diego [et al.] opening brief argues that the EIR was improperly certified because the approval is based on an erroneous interpretation of a different case that was cited as precedent. It also charges that CSU was “disingenuous” and abused its discretion under the California Environmental Quality Act (CEQA) by claiming it has no obligation to ensure mitigation for traffic and other issues beyond asking the State Legislature for funding (i.e., if funds were not forthcoming, CSU’s position is that it has no further obligation). The SANDAG and MTS opening brief states that “the most fundamental violation of CEQA at issue concerns CSU’s complete failure to address the impacts that will result from SDSU’s massive increased use of public transit systems to transport additional students, faculty, staff and visitors to and from the SDSU campus.” It goes on to say that CSU “deliberately” understated automobile traffic impacts. A response brief from CSU is due in January or February of next year. This entry was posted on December 3, 2010 at 6:16 am	and is filed under Adobe Falls, Environment, Government, Land use. Tagged: City of San Diego, Redevelopment Agency of the City of San Diego, San Diego Association of Governments (SANDAG), San Diego Metropolitan Transit System, San Diego State University. You can follow any responses to this entry through the RSS 2.0 feed. You can leave a response, or trackback from your own site.